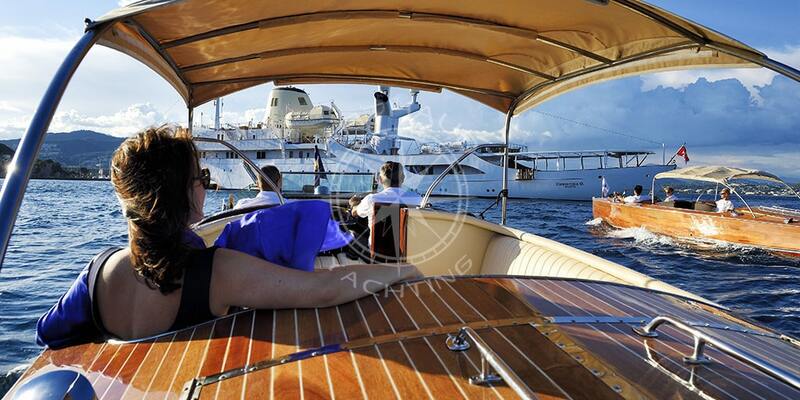 Yacht charter with an on-board professional crew at your service. 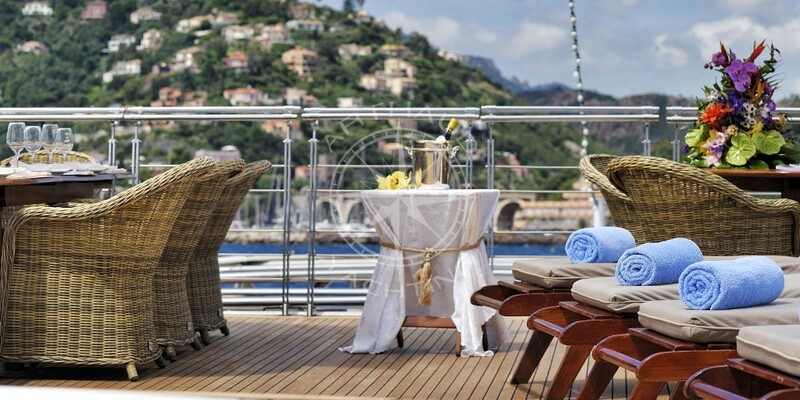 Chartering a yacht with your very own crew is a high-class service that will amaze and warm the hearts of your collaborators, family, friends and guests. A unique and magical experience, very different to a vacation on-board a cruise ship, even a luxury one, because our service is an experience 100% personalized and tailored to match your desires and needs. No need to push your way through the crowd to catch a glimpse of the view, no need to wait your turn to try one of the proposed activities on-board. All our private yacht charters offer a variety of activities dedicated to your very own pleasure and for the entertainment of your guests. 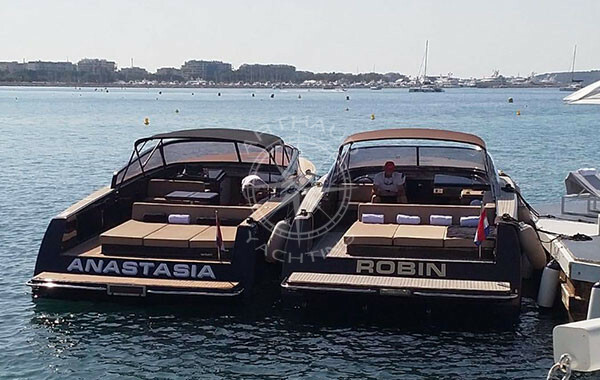 Rent a private yacht with an onboard crew who will accompany you to discover the marvels of your destination and who will guarantee you a vacation rich in emotions, an experience you would not have had by renting a prestigious villa on the French Riviera. Furthermore, aboard your private yacht charter, your choice of venue is not at the expense of your comfort – your personal crew is at your service from day one, and their attention to detail and professionalism will guarantee that your escapade is successful throughout. Whilst renting a villa limits you to one location, your private yacht crew is able to take you anywhere you wish depending on your mood and desires. If a beach or creek seams too busy and tourist packed, immediately request a change of itinerary and reach the calmer, secluded areas of the Mediterranean. You wish to stop over in St Tropez to taste the famous tarte tropézienne, or to entertain yourself in one of the prestigious casinos of the French Riviera? Your captain is at your disposal and can even take you to several locations in just one day. 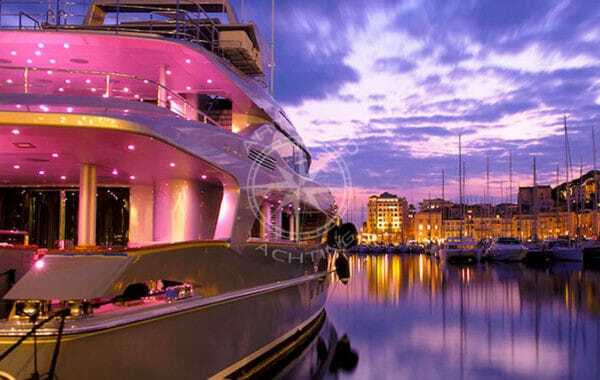 For over 10 years, Arthaud Yachting organizes nautical events for both their private and corporate clients; cruises, day charters, or any other types of activities at sea as per client requests. 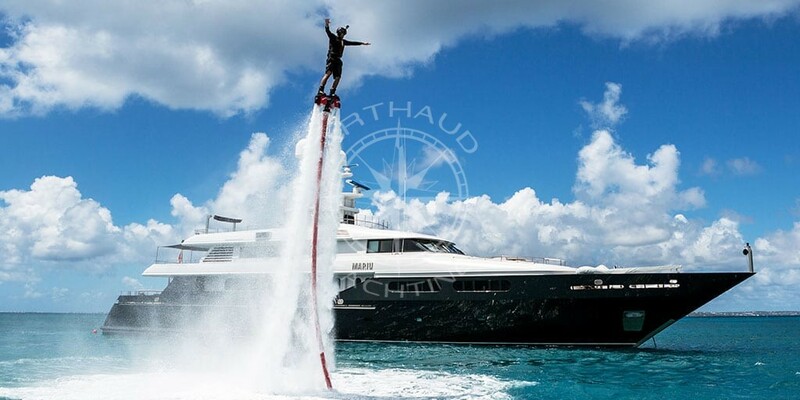 Pioneers of events and activities at sea, Arthaud Yachting defines themselves today as the specialist in refined nautical events along the French Riviera, from Monaco to St Tropez, without forgetting the extravagant city of Cannes. 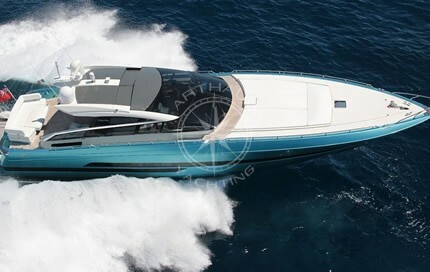 Whether for private or corporate events, Arthaud Yachting and their professional crews will allow you to navigate in a prestigious and safe environment along the turquoise waters of the Mediterranean, taking you to all the beautiful areas of the French Riviera, and even to Corsica and Sardinia. 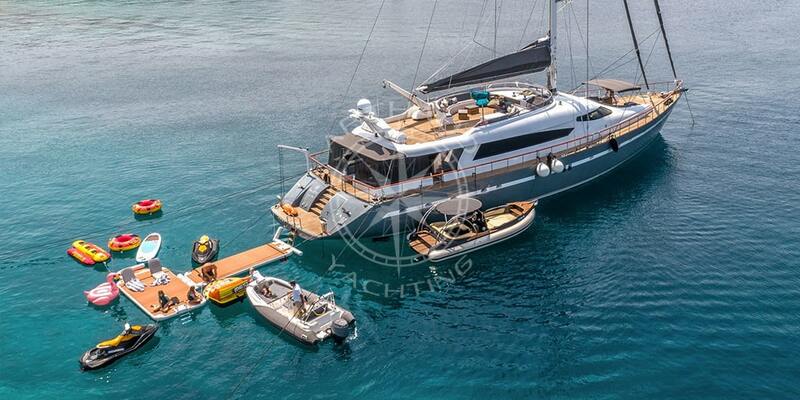 A wide choice of yachts to charter on the Mediterranean sea. Welcome your clients on-board one of our prestigious yachts to use it as your very own vitrine for a product launch, thank your team for their accomplished work by offering them an event which meets the standards of their performance, or even just to welcome your shareholders in a venue with testifies the success of your company, all these are perfect examples of reasons to charter a crewed yacht for your corporate events. Thanks to a fruitful collaboration between our teams specialized in the organization of nautical events for whom the maritime industry holds no secrets, our professional collaborators in the events industry whom master and orchestrate the organization of events, and our experienced catering partners, Arthaud Yachting is able to transform your crewed yacht charter into a well-executed, high quality, and rigorous event which will meet all your submitted requirements and event brief. 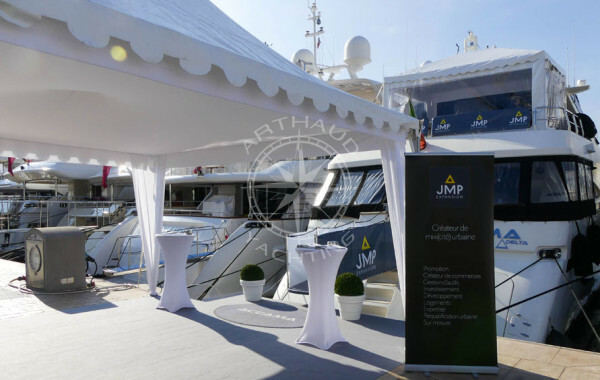 Based in the highly praised city of Cannes, Arthaud Yachting recognizes the expectations of a luxury event, our experience and knowledge of the prestigious industry is what has allowed us to distinguish ourselves from others. Our services are organized with passion and thoroughness, whilst respecting entirely the aim and purpose of your event. Your moments with family or friends are precious, avoid the hassle of planning your vacation and let Arthaud Yachting take care of all the organization by renting a crewed yacht. At Arthaud Yachting, we commit to put all the knowledge and professionalism of our team at your service in order to make your event or vacation a memorable experience in the Mediterranean Sea. Our yacht charter with professional crews are particularly adapted to event celebrations such as weddings, baptisms, bar mitzvas, or any other private celebrations as they are personalized from A to Z by Arthaud Yachting without you having to lift a finger, just give us your instructions and let us make your wishes become reality. Plated or buffet styled dinners, an attentive and discreet crew, our team will put forward their expertise in order to satisfy your requests. Aside from personal celebration and corporate events, you can also charter a crewed yacht for a weekend, a holiday, or just a day cruise. 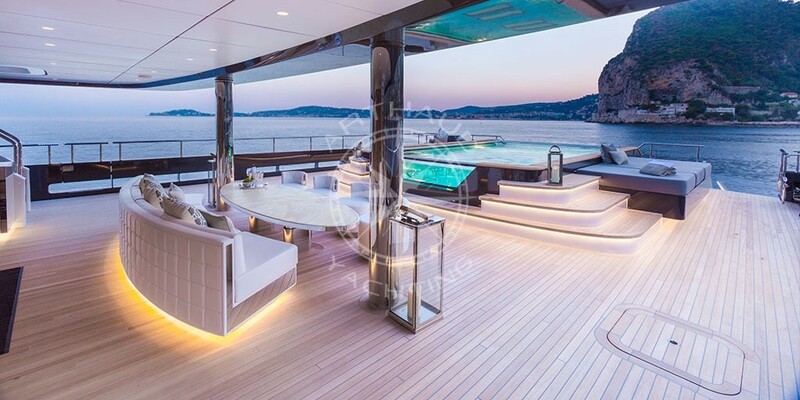 Our professionals of the nautical industry will allow you to navigate the Mediterranean in a secure environment whilst paying close attention to your needs in order for every member of the charter party to be welcomed and treated with necessary care. Inform us of which destinations you wish to include within your itinerary, and we will take care of organizing a luxurious private cruise to allow you to discover the French Riviera in a comfortable and refined atmosphere. The organization of day charters or vacations on-board a yacht charter with professional crew members are synonym of a relaxing experience as you will not need to take care of anything, except yourself! Calm, beautiful landscapes and an available crew will complete the portrait of your idyllic vacation just as you’d imagined it. Our yachts are rented with how many crew members? 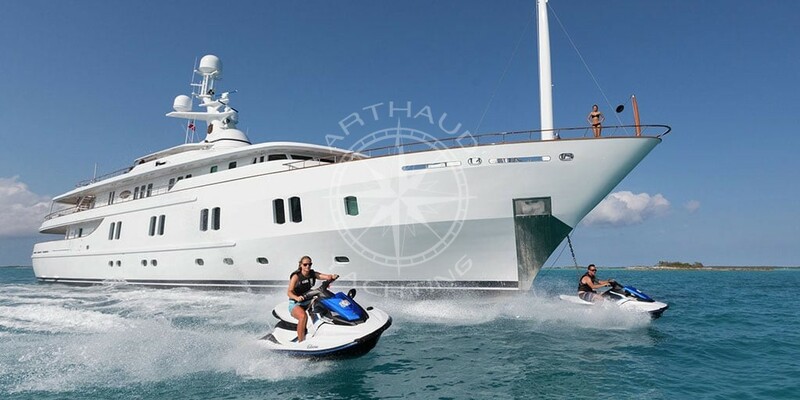 Arthaud Yachting puts at your disposal the necessary crew so that your yacht charter experience is successfully executed. Depending on the scale and characteristics of your event, each crew member will be chosen for their personal skills and professionalism based on your requirements. Skipper, hostess, chef, and even stewardesses, we will tend to your every need so that your only mission is to enjoy the small pleasures throughout your private luxury cruise on-board a yacht. Your partner for your crewed yacht charter in the Mediterranean.